M.N. : The “Skripal story”, retold nicely in this review by “Sandeep Dikshit”, offers more puzzling questions than the reliable answers or even assumptions or conjectures. I feel more and more convinced that Skripal is one of the important “nerve centers” of the current conspiracy against the US and the “West”, as I shared these thoughts earlier. It looks like he was able to establish the very close, controlling ties with Russian and consequently, the global organised crime communities during his , as I suspect, staged imprisonment. This is the historical tradition on the part of the Soviet and the Russian Secret Services of using “the closely related criminal element” for their own historical and political purposes. The recent waves of the “Performance Crimes”, including the yesterday, 10.27.18 events, bear the strong marks of the association with the Organised Crime, with the specific (stylistic) twist of the professional coordination by the experienced military intelligence officer. I think humbly, my dear friends, as I mentioned earlier, that the very careful and in-depth investigation of Skripal and all his connections might hold the keys to the understanding the underlying forces behind the recent events. THE title itself should make the book fly off the bookshelves at airports and malls where attention spans are lower. Its author Mark Urban is a serial author with a nose for the topics that will sell like hot cakes at precisely such places. Hitting the stands within six months of poisoning, one might wonder at the quality between the covers. But in keeping with his honesty of acknowledgement, which runs through the book, Urban discloses that he had met Sergei Skripal a few times as a subject matter for a book on East-West espionage after the Cold War. His poisoning converted that raw material and a bit more into a book. 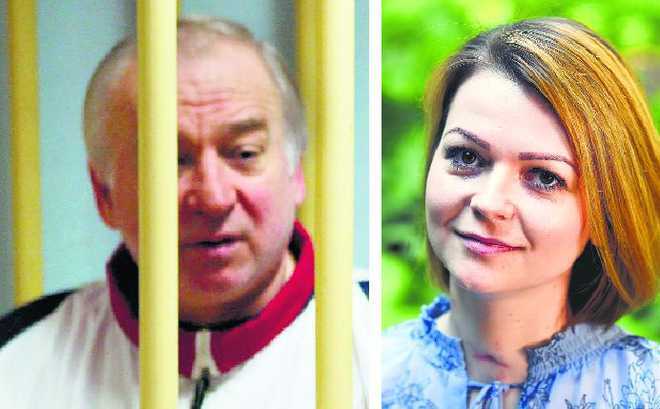 Sergei Skripal’s name never rang a bell during the eight years he lived in London, unlike, say, Oleg Kalugin (still living) or Alexander Litvinenko (assassinated), who were deemed important enough to have been tried in absentia in Moscow. Despite his two foreign postings, Skripal was nowhere in hierarchy and access, as compared to fellow defectors Oleg Gordievsky (KGB chief in London) and Vasili Mitrokhin, the librarian of KGB’s foreign intelligence service. Yet, Skripal’s case has created waves than the cumulative murmurings after the poisoning of Litvinenko and Gordievsky. It is this knot that Urban tries to explore and unravel. An understandable suspicion about books of this nature and originating from London is that these could be inspired by operatives of Vauxhall Cross, the gleaming MI-6 headquarters. It is not unknown.But the rendering here is open ended. There are no conclusions in the book that intelligence agencies so covet. For, the Skripal case is far from over: a secret report lies unopened in the Geneva vaults of the Organisation for Prevention of Chemical Weapons; a subsequent death of two vagabonds has opened a new line of inquiry; and, there could be more revelations, if and when Skripal or his daughter can recall the turn of events on that day. By mid-1970s, Skripal was an operative of the Soviet Special Forces. The story jumps from his uneventful years in the Soviet Union to the first overseas posting in Malta (1984-89) where both, his boss Burlatov and he were on sale. On his second posting to Madrid (1993-96), MI6 enrolled him after he rolled out the Russian military intelligence’s (GRU) organisational chart.Back in Moscow, he made two deliveries of books containing notes in secret ink till he was passed over for promotion to Major-General and retired at 48 in 1999. This was a time for troubles in Russia when corporate, personal and espionage interests blended and Skripal, by his admission, began freelancing with his former contacts. His luck ran out when his former Malta boss Burlatov was arrested and then murdered in prison. In 2004, Skripal was next, transferred to Lefortovo prison with its quaint rules and after conviction, sent to the harsher Potma prison where temperatures sank to -30º. So, who outed Skripal and Burlatov? Skripal believes it was a Spanish double agent who Madrid exposed. But others say Russians knew at the time when as a pensioner he would ask leading questions from his serving colleagues. Then Ghost Stories happened. The US uncovered a network of deep penetration Russian agents, including the glamorous Anna Chapman, and prompt Moscow ownership of their operations set the stage for a swap of spies. Skripal was freed in 2010 and opted to stay in London where the MI6 made him comfortable. After eight uneventful years, he and his daughter began frothing from the mouth while sitting on a bench in a park in Salisbury. Details unravelled in a slow pirouette and when it was established that a deadly chemical had been used, 150 Russian diplomats were expelled. Significantly, the enthusiasm to expel was confined to the US, the UK and Ukraine — three countries with an existentialist angst against Russia — which accounted for two-thirds of the expulsions. This has triggered a minority view that the poisoning was a false flag operation — an operation where the home side creates an incident to implicate the opposing side. Why would Putin risk western outrage barely weeks before he was to be re-elected as President? Then there is evidence of how the rabidly anti-Russia Boris Johnson shaped the narrative with outlandish claims. Urban, however, dismisses these conjectures as part of a Russian tactic of releasing counter theories. His counter is that Putin wanted a 70/70 result — get 70 per cent of the vote from a 70 per cent overall voter turnout. Russophobia was guaranteed to get the voter out. There is also Putin’s alleged fetish for assassinations, such as the murder of a retired general fiercely critical of Yeltsin in 1999 that Skripal believes helped him become Prime Minister after a couple of months. There is also the suggestion that Skripal was living up to the maxim that that intelligence officers never retire and he seemed to be playing the field again, thus making him a target. Putin may also have ordered the hit to deter anyone from spying for Britain again. While the media speculated, British investigations identified the chemical as Novichok A. But that claim got muddied after the Russian foreign minister claimed that it was BZ, manufactured by NATO countries. There is no unimpeachable argument on either side. But perhaps the endgame to ensure Russia’s isolation by exploiting the Skripal affair was achieved. The uproar ensured that Donald Trump couldn’t get Russia into G 7 and CAATSA, an anti Russia-Iran-North Korea law, that is also causing India much anguish, had a smooth sailing in the American Congress. 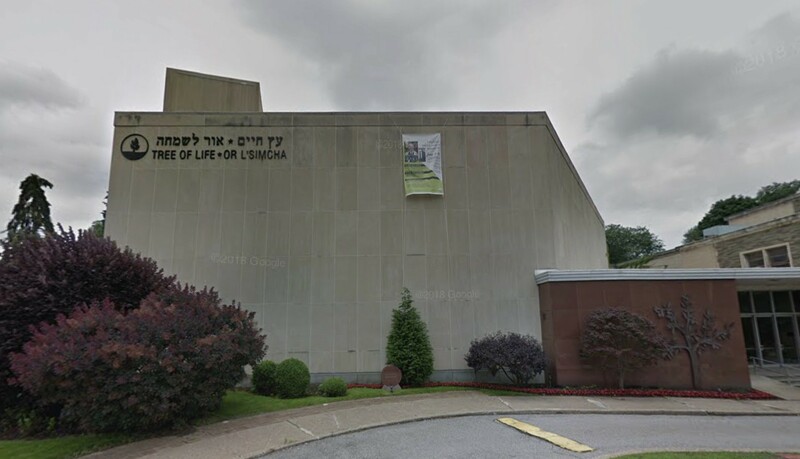 mikenova shared this story from synagogue in the Pittsburgh neighborhood of Squirrel Hill – Google News.